Swords and Sorcery: Underworld – the Definitive Edition has just been released today on Steam. For those who remember the original – and the graphically updated “Gold” edition – this is a ground-up rewrite of the game using an engine planned for the sequel. If you played the earlier versions, this thing is… well, it is very familiar, but comparing them side-by-side is a night-and-day difference. The game system is changed, and is far more streamlined. The UI is vastly improved. The world, while still based on a grid, shows smooth 3D transitions as you move and turn. It supports high resolution full-screen. There’s new stuff across the board. So while it retains the storyline and overall feel of the original, it’s in many ways a completely new game. In effect, a full remake. If you aren’t familiar with the original… well, consider this a brand new game. What is it? I guess you could say that it started out as a fan-made love-letter to Might & Magic 1: The Secrets of the Inner Sanctum, and has since evolved into its own thing. Which is as it should be. After all, that was how Might & Magic started, too… a primarily solo effort to build on well-loved CRPGs in other series that went off in its own direction. The original release perhaps adhered too closely to the style of its inspiration, down to the clunky interface and programmer art, not to mention problems arising from the old version of Game Maker Studio. However, while a little clumsy at times, it also shared the benefits of its pedigree, capturing the flavor and fun that was just as captivating now as it was back in the late 1980s. 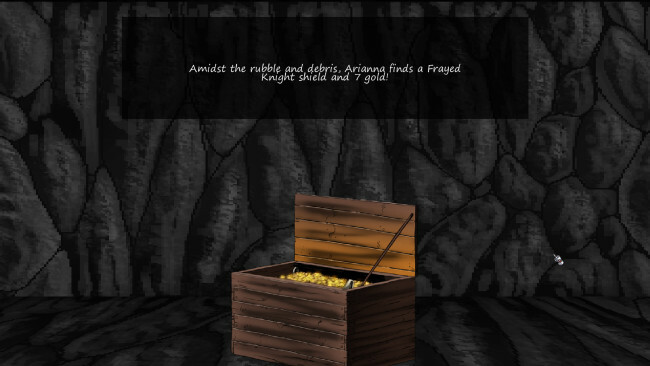 With the Definitive Edition, Swords and Sorcery: Underworld has fully come into its own. The Might & Magic spiritual ancestry leaves its mark on some of the level design, the class types, and the turn-based combat flow. The most noteworthy mechanic borrowed from the classic series is that player characters injured to zero health are first knocked unconscious (and can recover easily with standard heal spells) rather than killed. If they are subsequently damaged, then they are truly rendered dead … truly but temporarily in a world of major magical restorations. 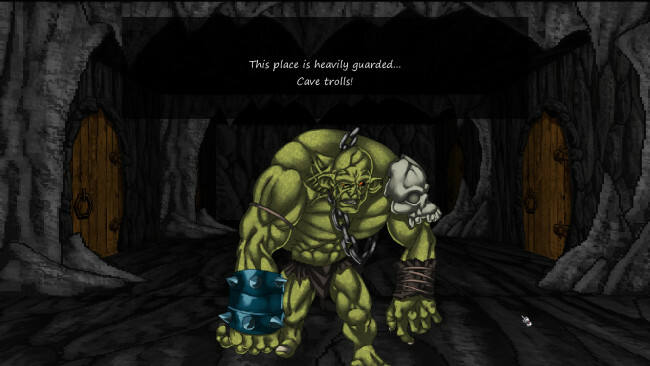 From there, the game marches off in its own direction, primarily in terms of graphics (bearing the heroic comic-book styles of the illustrator), sense of humor, and combat tactics. Combat is where the game system really shines. While it is abstracted in a similar style to other group-based first-person perspective turn-based RPGs, there are plenty of details and combat options to keep things interesting. Sometimes, due to luck or just being in over the party’s head, death just comes early and arbitrarily. But other times, the difference between a seemingly easy victory and a complete wipe-out (or a very costly victory requiring a return to the surface and maybe a visit to the temple for resurrections) is smart application of relative positioning, timing, and combat options. Much to my joy, the rogue is a key class in any party build. The rogue’s ability to deal a devastating sneak attack, or to stun an opponent (even a boss) is absolutely invaluable in many fights. Archers, a little more optional, have some devastating multi-target attacks at higher levels which can be great at helping clear out lower-level minions or the leftovers from the sorcerer’s area-effect attacks. The minions things is a big deal. With a combination of the knock-out mechanic and creatures with devastating attacks that can often deal more than a character’s hit point total in a single shot, large groups of enemies with multiple attacks are extra dangerous. With a single enemy dealing one attack per turn, no matter how damaging, you can keep reviving characters each turn to prevent anyone from dying. But with multiple attacks, enemy groups can knock out and kill a character in one sequence – a major setback even at higher levels. Monsters are rarely limited to straightforward attacks and defenses, either. Even at the lowest levels, players will encounter enemies that summon others, explode for small amounts of damage to multiple party members, rangers that fade back outside of melee range to pelt the party with arrows, and so forth. Facing a new enemy is always makes me wonder when I saved last, because I may be unpleasantly surprised with some ability that I am not prepared to defend against. Some of the most interesting and amusing tidbits can be gathered via the mind-reading spell, which displays a creature’s stats and a little paragraph about their background. This can provide valuable insight, or sometimes just a bit of amusement. I never finished playing the game in its earlier incarnations, an oversight I’ve been trying to remedy over the last week or so. However, this game is not small. While it may not be a 100+ hour behemoth like some games, but it’s going to take you dozens of hours. But as you can save anywhere (outside of combat, which usually doesn’t last long) and make some real progress in only a few minutes of play, it works well for a grown-up lifestyle. If you are a fan of old-school CRPGs and would like to play something “like, but different” from the party-based classics of the Wizardry / Bard’s Tale / Ultima / Might & Magic style, I recommend checking it out. > Should I take offense that it’s like the most useless shield in the game? Nah, I think it’s fitting 🙂 Just don’t mention it to Arianna. 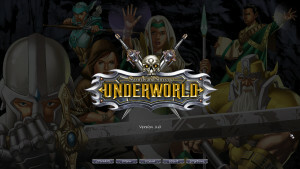 I missed the Underworld games, so I don’t really get the hype. This game looks like it’s at least worth taking a look at a let’s play, though. I don’t think S&S takes its inspiration from the Ultima Underworlds so much as the early Might and Magics(as Jay points out in the article). I’m conflicted since something like this would usually be right up my alley, but for some reason the graphics just put me off so badly I can’t bring myself to try it. They really shouldn’t, since I have no problem with World of Xeen for example, which is roughly in the same ballpark graphics wise, but for some reason the textures just seem flat and the monsters lifeless to me, whereas Xeen’s have (to me) depth and a quirky charm. Pictured below is my obvious favorite. Should I take offense that it’s like the most useless shield in the game? Graphics in that game turns me off too. The walls are OK, but the unmoving monsters don’t work for me. In the olden days this was more or less forced by hardware limitations, but now it looks off, as if the game makers were too lazy to put some animations rather than static sprites. On top of that, I suspect dungeon crawlers aren’t really my thing anymore. I’d rather check out new Dwarf Fortress or get hyped over how much better Hearts of Iron 4 is going to be over HoI 3 once they realease a few DLCs. Or whatever, as doing something incurs the “opportunity cost” of not doing something else instead. NB It’s a one man operation.